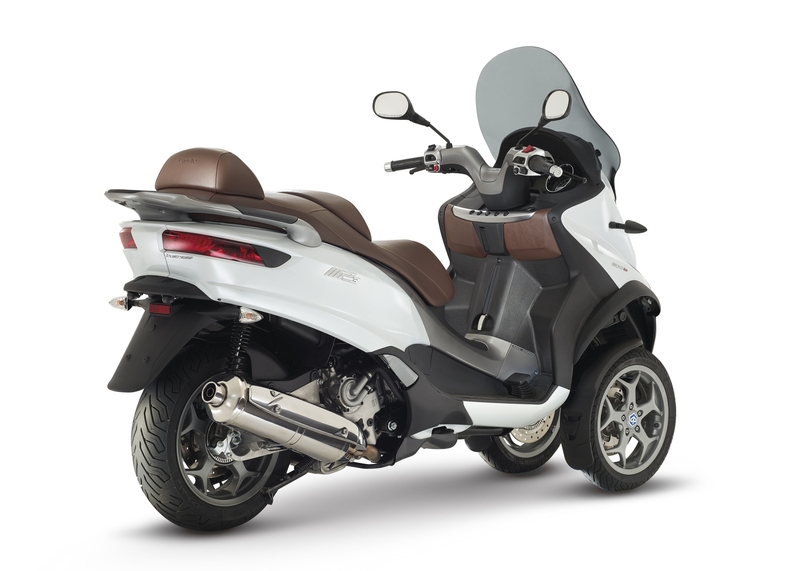 Piaggio’s leaning trike, the MP3, is one of those models that has to be ridden to be understood. 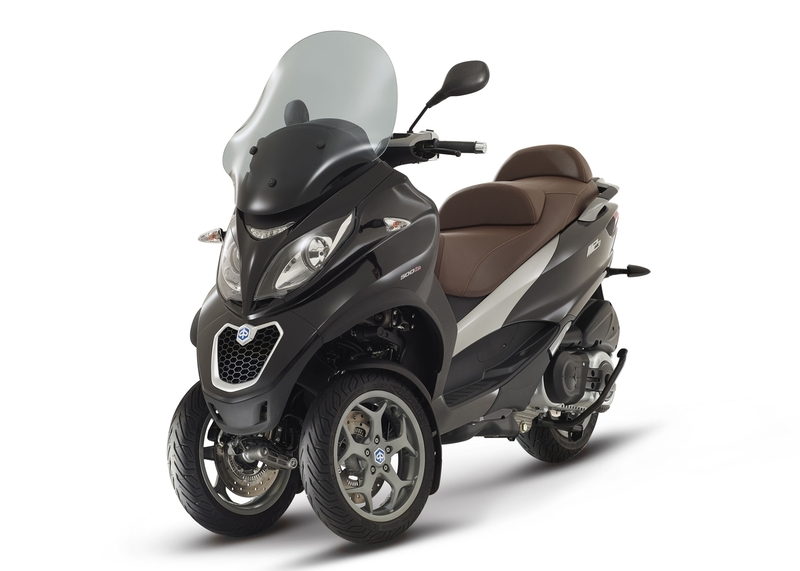 Those two front wheels give the MP3 such a strange look that for many, it’s a little to weird for its own good. 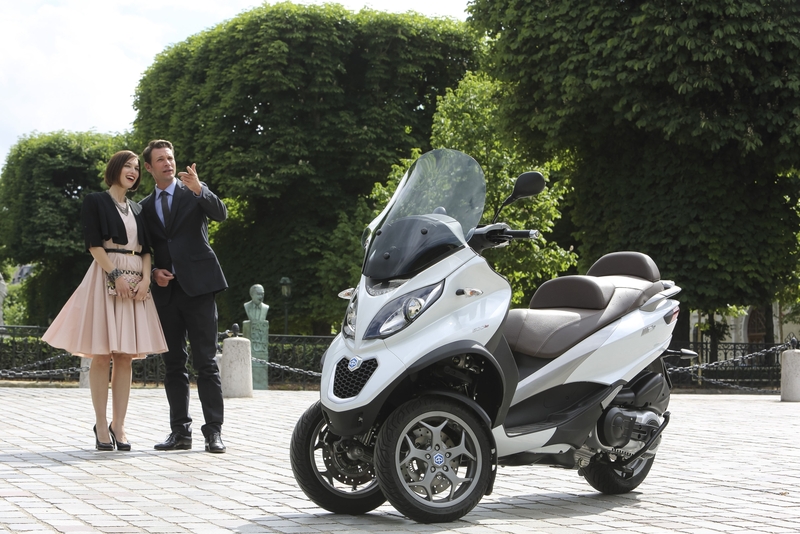 Yet for those who’ve experienced the MP3’s fantastic handling and real-world practicality in terms of storage and passenger capacity, there’s nothing better in the modern scooter world. The MP3 took a year off in 2014, but it’s back for 2015 and for the MP3 500 especially, the changes it undertook under hiatus are significant. 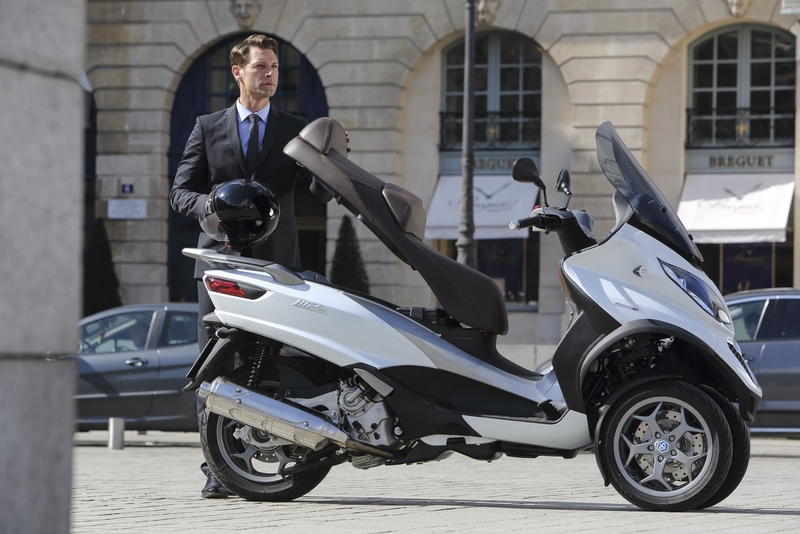 Starting first with the engine, Piaggio have updated their big scooter motor with advances inherited from the BV350. 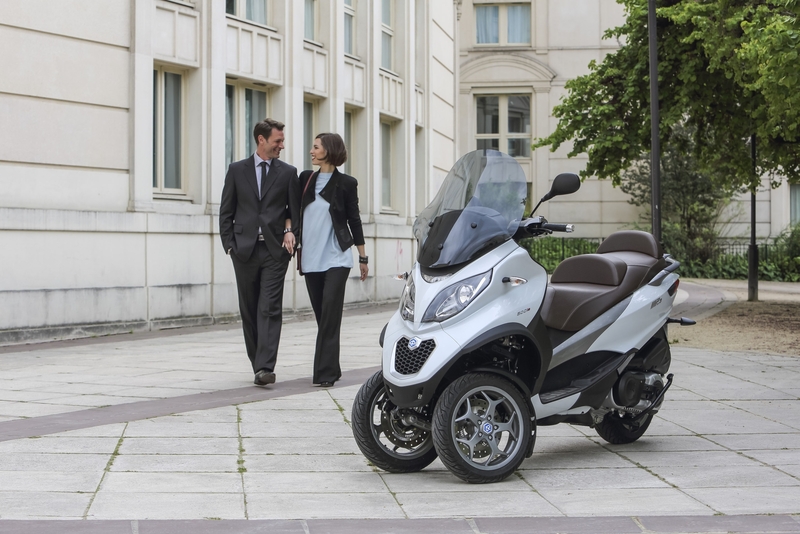 The new 500cc mill boasts 40 hp and 33 lb-ft of torque, which should pull the big trike around adequately, but doesn’t quite put it in the proper maxi-scooter performance range you’d find in something like a Yamaha TMax, Suzuki Burgman 650 or BMW C-Series scooter. To be fair, those are all larger engines, but the MP3 500 isn’t exactly a small vehicle. The key update to the MP3 drivetrain is ride-by-wire throttle. 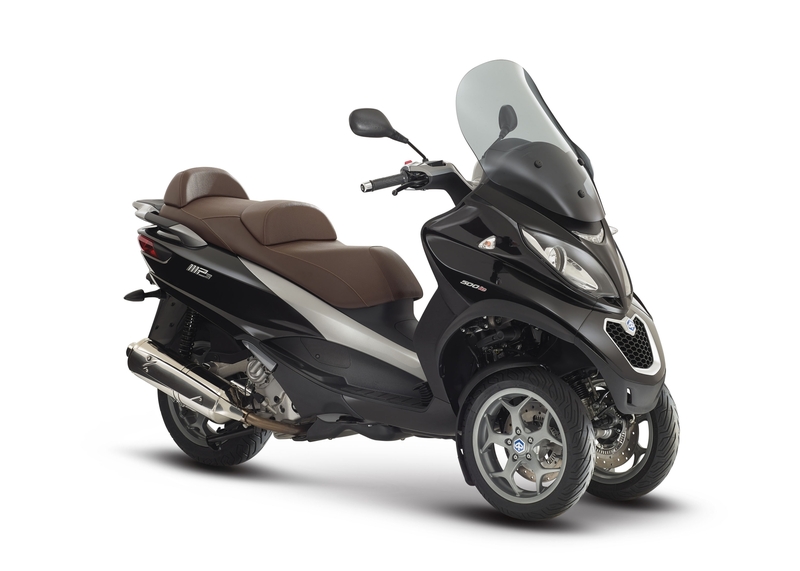 We’re seeing this more and more in the two-wheel world, but within Piaggio especially, it’s the logical dissemination of the technology first put into scooters with the Vespa 946. 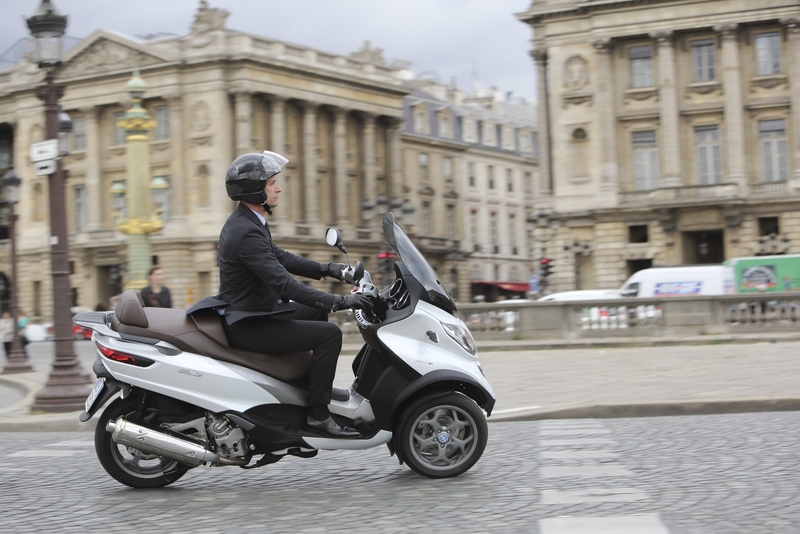 Ride-by-wire brings with it one key capability: Automatic Stability Control (ASC). 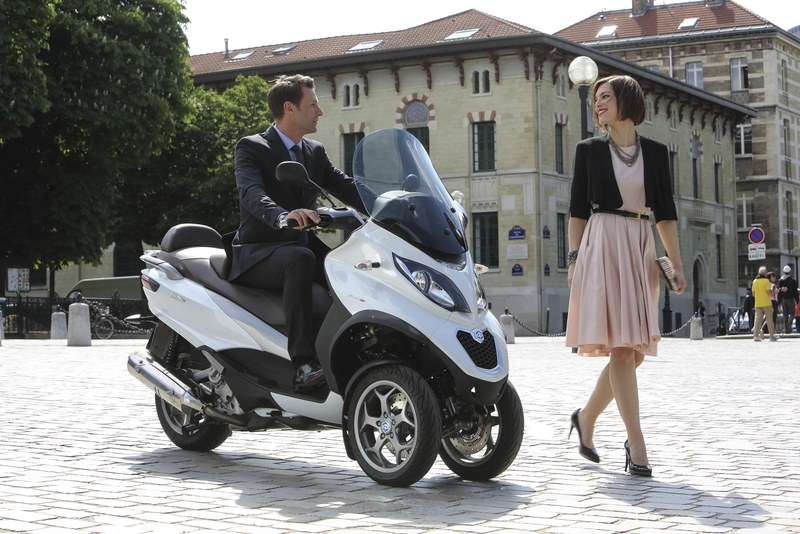 ASC is traction control for two-wheelers. 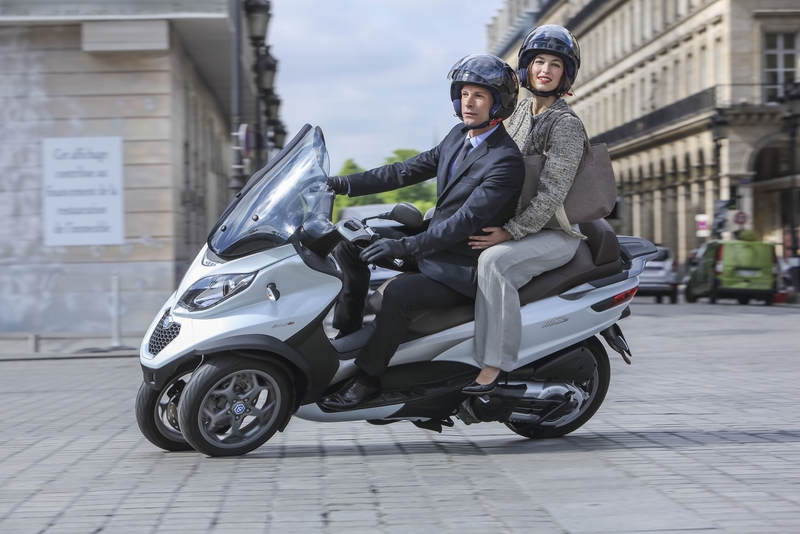 By modulating power to the rear wheel, ASC helps prevent rear wheel slip, which is an important safety consideration because it helps prevent a high-side crash. Paired with ABS, which is also now on the MP3 500, plus the MP3’s increased frontal tire contact patch, this new MP3 500 might be one of the safest single track vehicles on the road. 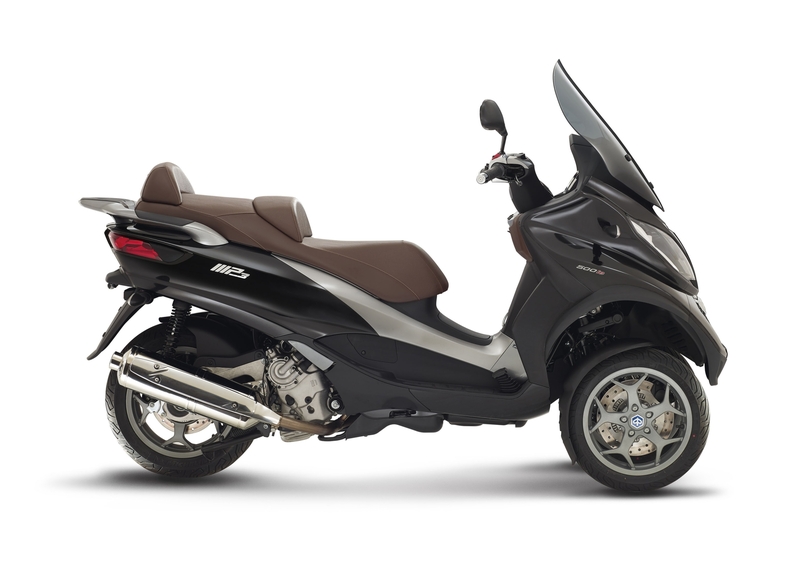 Perhaps the most significant change for the MP3 500 is its looks. Gone are the Mad Max projector headlights and aggressive face. Truth be told, I loved the look of the old MP3 500, but I’m pretty sure I’m in the minority there. Aesthetic updates overall are aimed at taking the MP3 more up-market. Nicer touches and accents throughout make the MP3 500 feel a lot more grown up. 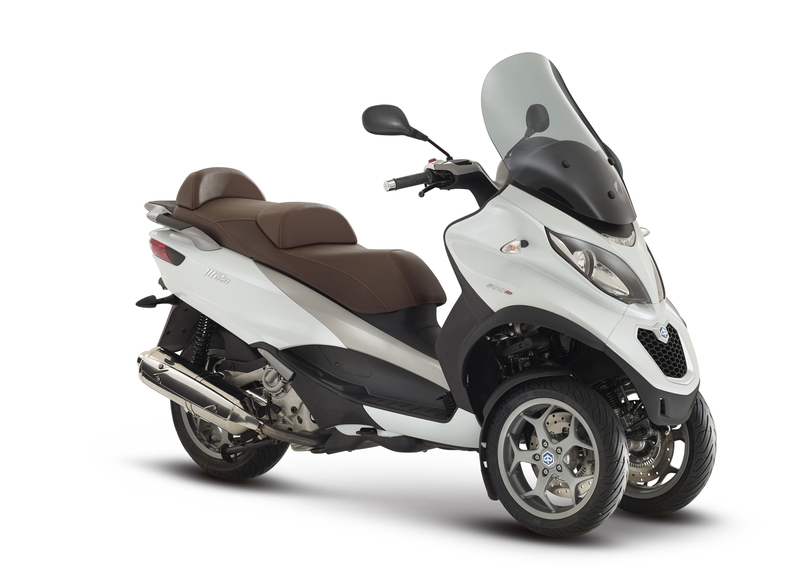 Will these updates help the MP3 500 finally catch its footing in the scooter market. We’ll find out starting in spring 2015. 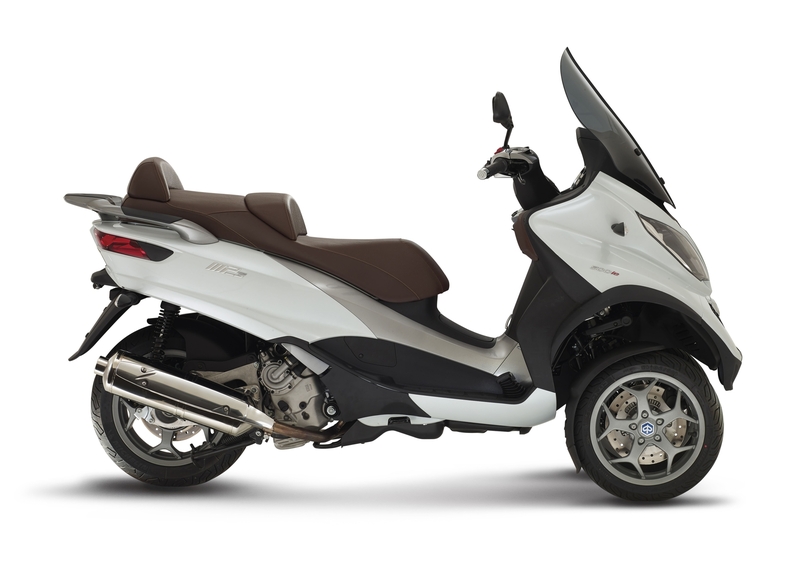 The Vespa 946 is a bit of a unicorn. That is, it’s an example of something manufacturers almost never do. They almost never actually produce the wild concept vehicles they shop around at the industry shows. They almost never actually use the exotic materials making up the concept. 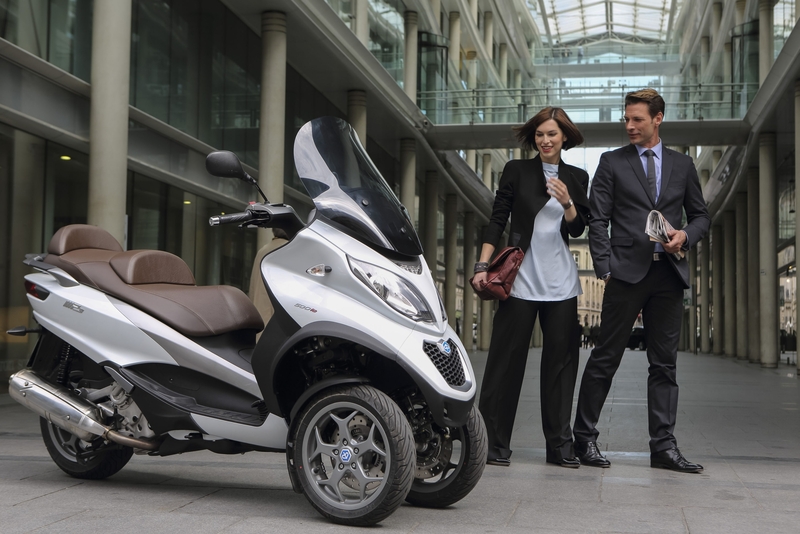 Yet not only is Vespa putting the 946 Quarantsei into production, they’re doing it nearly without compromise or concession.